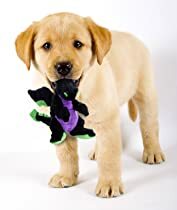 goDog™ is a fun lovin' brand from Quaker Pet Group featuring toys for dogs of all breeds and sizes. A wide array of goDog toys are available with tough Chew Guard™ technology. Chew Guard offers added durability to help toys stand up to tough chewers. goDog toys are bright and colorful! Check out all of the fun families of toys. © 2013 Copyright Lil' Angel Pet Boutique & Gallery. Designed by Paisley's Art Studio.